I can’t tell you how many times I’ve seen people asking for a ham and bean soup recipe that fits into the Trim Healthy Mama way of eating. Ham (fat) and beans (carbs) automatically means a crossover (which isn’t weight loss friendly), right? Not necessarily! No, this is not a traditional ham and bean soup in that it does not contain actual pieces of ham. All the flavors are there, though, and I never missed the ham. You can add chicken pieces and pretend it’s ham, if you like, but as the recipe is written this is a meatless soup that derives its protein from pinto beans. Very budget friendly! So what’s the trick to this soup? Well, after you bake a ham, save the broth and refrigerate it overnight so all the fat rises to the top and solidifies. You can then scrape all the fat off and are left with a broth that can be used in an E setting without causing a fuel collision! (I did run this past one of my friends who works in close association with Trim Healthy Mama and got the all-clear) This gives you all the flavor of ham and bean soup…and it won’t make you fat. I hope you enjoy this soup as much as I did. I made it to take up to my grandparents’ house for lunch one day and we really enjoyed it. Want more soup recipes? I happen to like soup almost as much as I like ice cream, and 12 of my favorite soup recipes are published in my 12 Cozy Soups ebook (including a clam chowder recipe that we love)! Question of the day: have you ever had ham and bean soup? PS – If you have gluten sensitivities and need a good source for certified gluten free beans, this page gives links two options. 2 doonks THM Pure Stevia Extract Powder (a doonk is 1/32 tsp.) - a little sweetener helps balance out the flavor profile. Don't be alarmed if the soup tastes sweet after adding this; after cooking for awhile, a lot of the sweetness dissipates. I made this soup for lunch one day, so if your schedule looks different than mine, adjust everything accordingly. The day before you want to make the soup, soak the dry beans in plenty of water. I just added the beans to a large lidded container which I filled with water and put in the refrigerator all day. In the evening, before you go to bed, drain the beans and put them in the crockpot with the ham broth, 4 cups of water, onion, seasonings, and sweetener. Cook on low all night. In the morning, add another cup of water as well as the sliced mushrooms. Continue cooking on low until noon. Taste, and if you need to thin it down with more water, you may do so (this could vary depending on the saltiness of your ham broth). Serve and enjoy! Yields about 6-8 servings. If you don't have dry beans or forget to soak them, canned beans could be substituted. I'm guessing you would need about 4 cups, but use as many as you like to make the soup the consistency you want. I suggest rinsing and draining the canned beans before adding them to the soup. The soup will not need to be cooked nearly as long because the canned beans are already quite soft. Just cook long enough to cook the onions and mushrooms and meld the flavors together. Be sure to refrigerate the ham broth *overnight* before taking the fat off. This way you can be sure that all the fat rises to the surface. 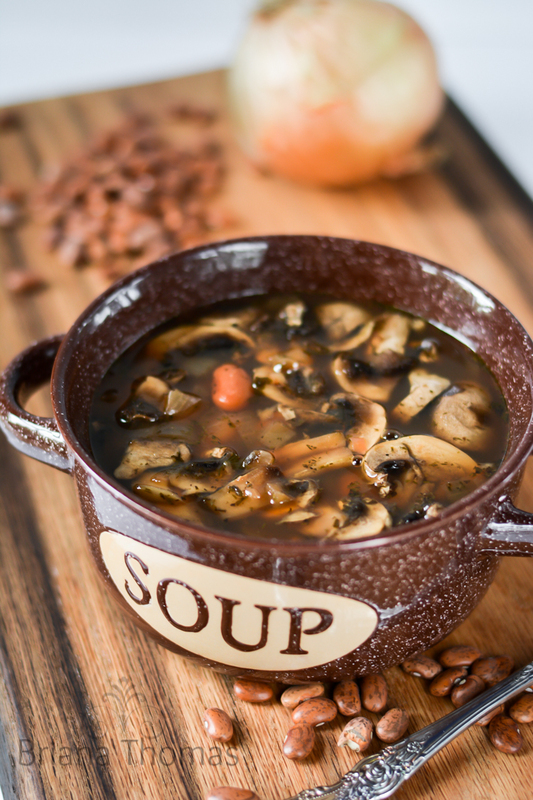 Again, if you want to make this soup for supper, you could either just leave the crockpot on "keep warm" all afternoon or adjust the cooking temperatures and time frames according to your schedule. You could soak the beans all night and then assemble the soup in the morning. You may need to set the crockpot to "high" for an hour or two to soften the beans. Add the mushrooms a few hours before serving and continue to cook on low until suppertime. Crockpots are handy tools! We have one kind of like this. I splurged on ham at Christmas and now have too many leftovers. How would I make the broth from these? Could you substitute Ham bouillon for the ham broth and still be on THM plan? I don’t know the answer to that, Rachel. I’m not sure what the fat content would be in ham bouillon (in fact, I didn’t know there was such a thing…haha). If there are fewer than 5 grams of fat per serving in your ham bouillon, you’d probably be OK.
Add a touch of Southern style by enhancing your cooking aromas with the flavor of one Goya Ham Flavored Concentrate Packet. One packet equals the ham flavor of 1/4 pound of smoked country ham. Add one 1.41oz Ham Flavor Packet to your down-home recipes calling for ham flavor, such as beans, sofritos, rice and vegetables. Salt, Monosodium Glutamate, Artificial Ham Flavor, Hydrolized Vegetable Protein, Silica (Anti-Caking Agent). Would this be on plan??? I’m not sure if it’s technically on plan or not, but I’d probably use it, personally. What’s the nutritional info like? could you cook the dried beans in water with the ham bone itself and still be in E territory? That is usually how I cook my beans for bean soup. Thank you! I’ve occasionally wondered if this would work for an E soup. 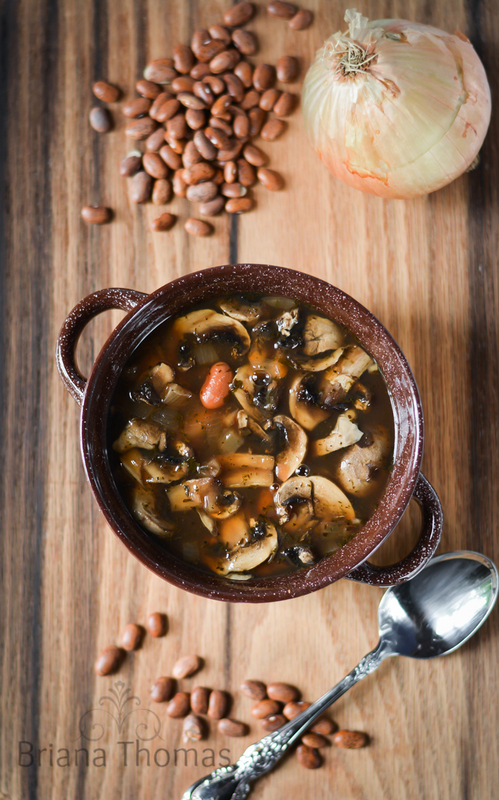 My kids love meatless bean soups, so they will be excited about this recipe. I always freeze the “ham juice” in jars after cooking a ham, as it’s pretty easy to peel the fat off once it’s been frozen. I actually do this with all my broths. The fat on top also protects the broth from freezer burn, so you can make a huge batch and store it in conveniently proportioned packages for quite a while.